Astronomers using NASA's Hubble Space Telescope have stumbled upon a mysterious object that is grudgingly yielding clues to its identity. 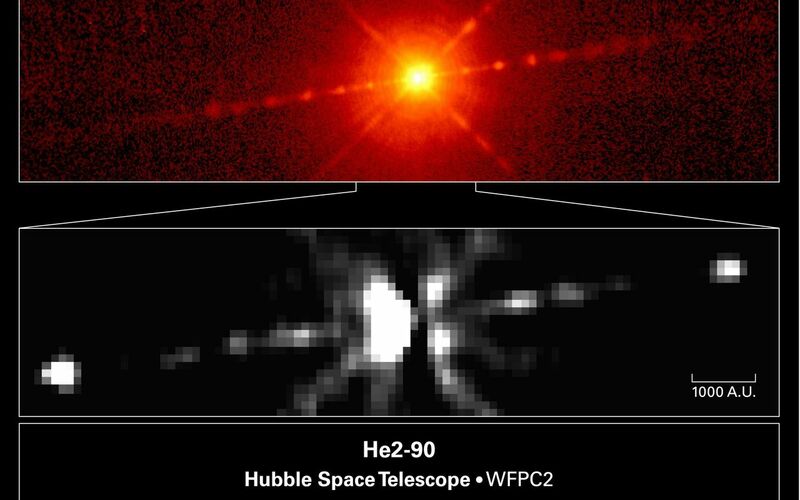 A quick glance at the Hubble picture at top shows that this celestial body, called He2-90, looks like a young, dust-enshrouded star with narrow jets of material streaming from each side. But it's not. The object is classified as a planetary nebula, the glowing remains of a dying, lightweight star. But the Hubble observations suggest that it may not fit that classification, either. The Hubble astronomers now suspect that this enigmatic object may actually be a pair of aging stars masquerading as a single youngster. One member of the duo is a bloated red giant star shedding matter from its outer layers. 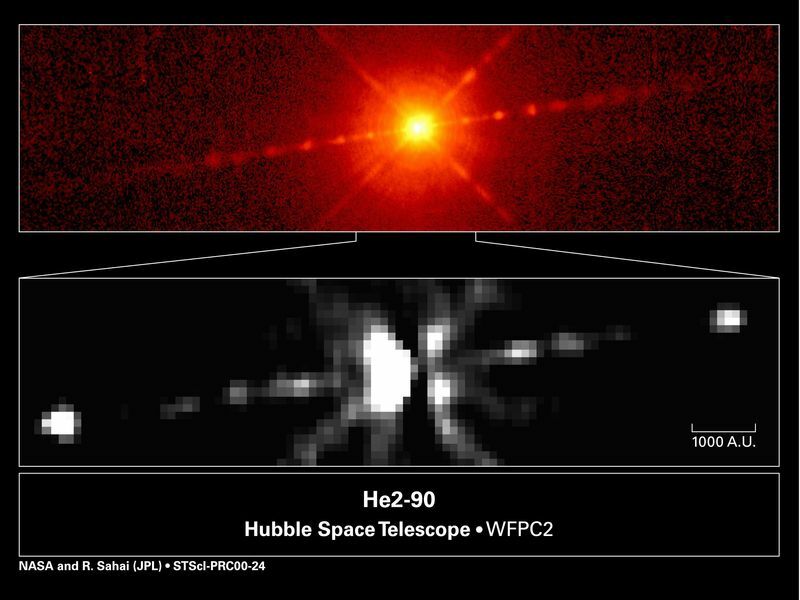 This matter is then gravitationally captured in a rotating, pancake-shaped accretion disk around a compact partner, which is most likely a young white dwarf (the collapsed remnant of a sun-like star). The stars cannot be seen in the Hubble images because a lane of dust obscures them. The image can be viewed at http://hubblesite.org/newscenter/archive/releases/2000/24/image/a/.